Fabulous and Brunette: The Details of My Reality by Katie L. Oslin - Blurb Blitz - Giveaway - Enter Daily! 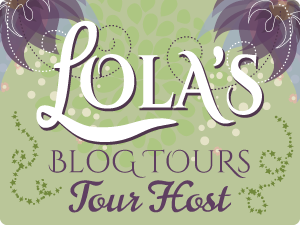 The Details of My Reality by Katie L. Oslin - Blurb Blitz - Giveaway - Enter Daily! Hi lovelies! It gives me great pleasure today to host Katie L. Oslin and her new book, “The Details of My Reality”! For other stops on her Goddess Fish Promotions Book Tour, please click on the banner above or any of the images in this post. Be sure to make it to the end of this post to enter to win a $50 Amazon or Barnes and Noble Gift Card!! Also, come back daily to interact with Katie and to increase your chances of winning! Katie L. Oslin is a Midwesterner who started writing diaries, poetry and many short stories at a very young age. 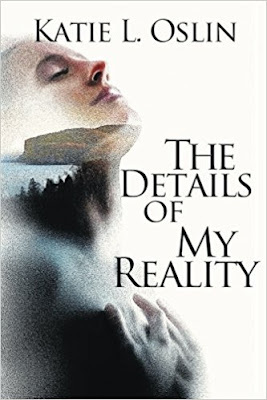 As a newly published author THE DETAILS OF MY REALITY is her first novel. Katie will be awarding a $50 Amazon or B/N GC to a randomly drawn winner via Rafflecopter during the tour. Be sure to follow me on social media and leave me a message with your thoughts! I love to hear what readers have to say. It helps me in my writing process and I keep suggestions in mind while writing my next novels. Thank you for your support and welcome to The Details of My Reality!! I hope it resonates with you!! Thank you!! I appreciate you stopping by on my virtual tour. This novel is very important to me. I hope that you read it and that it empowers you. And good luck on the drawing!! Yes, THANK YOU!! Much appreciated!! THANK YOU Fabulous and Brunette for hosting today!! I truly appreciate your willingness to help me promote this novel. You truly are FABULOUS! Thank you! And that is just a taste of The Details of My Reality! If you like it, I am certain you will absolutely LOVE this book! It is an easy read full of emotional turmoil and excitement! Congrats! I'd love to know the story behind your awesome bio picture! Thank you! I am very excited about this journey! I have truly been blessed. This photo was taken in Asheville, North Carolina by a friend of mine. 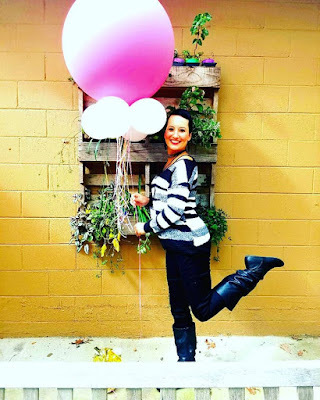 I was there with other members of She Works His Way (a Biblical and Business driven group of women)- for a business, worship and Bible study conference and believe it or not, these balloons were part of the decor. And that beautiful background- well it was one of the precious buildings on the campus. When I see a photo op- I take it!! Congratulations. I’m excited to be here. Thank you!! Glad you could join us!! I hope that you will read this book and/or pass it on. It is truly an empowering story. Thank you!! I hope you read it! And be sure to follow me on social media to leave me some feedback!! I love to hear what readers think about my work! Thanks for sharing the great excerpt! Thank you! The except is merely a taste of what this book truly is. It is an emotional roller coaster and you never know where it will end off or take you next. I hope yoy read it! I am a dreamer. Always have been. I think of stories and draw inspiration from life around me. Being a writer to me is more of a purpose, or calling. I feel as if it chose me. While this book is your first and only recently published, what do you have on your computer now? What's next? I am in the final stages of editing my next novel titled Passed Down. It follows an infertile couple who find a doctor willing to help them conceive in vetro so long ads they abide my his rules. He develops a designer baby or genetically enhanced baby and begins to treat them as a science experiment. But, what they don't know is that their child is also a twin and he is performing two experiments touching on nature versus nurture. Eventually they ALL meet and the cat is let out of the bag so to speak. Thank you again Fabulous and Brunette for hosting me and #TheDetailsofMyReality!! Y'all are AWESOME! Thank you! I poured my blood, sweat and tears into this book. I'm very proud of it and hope it resonates with each and every reader. How do you get inspired? Have you ever had writers block and what did you do to get out of it! New! New! New! - Coming Soon!! !